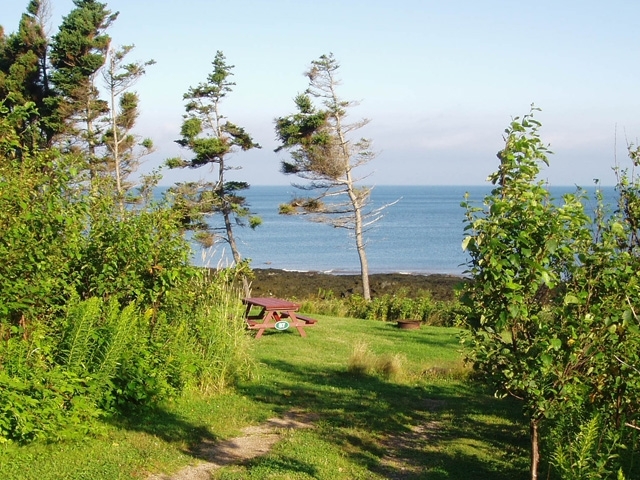 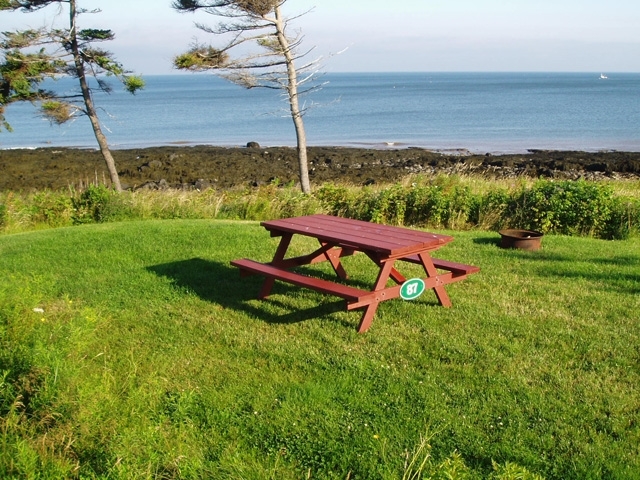 Site #87 is a Premium Oceanfront un-serviced tent site of moderate size, with direct access to the Bay of Fundy shoreline. 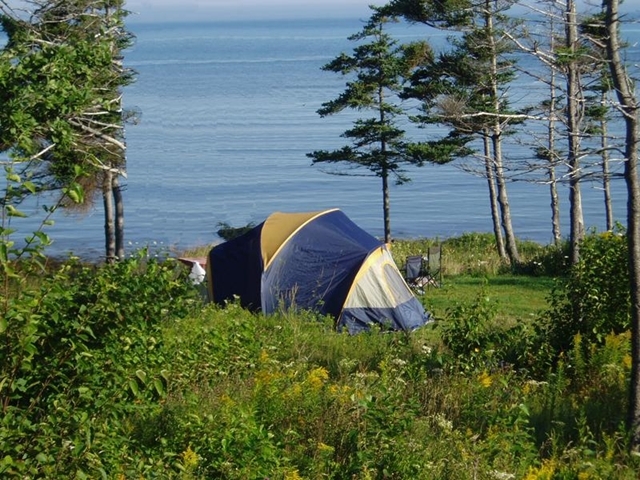 This level, private and grassy site will accommodate a medium size tent and a dining tent, and is equipped with a picnic table and a fire ring. 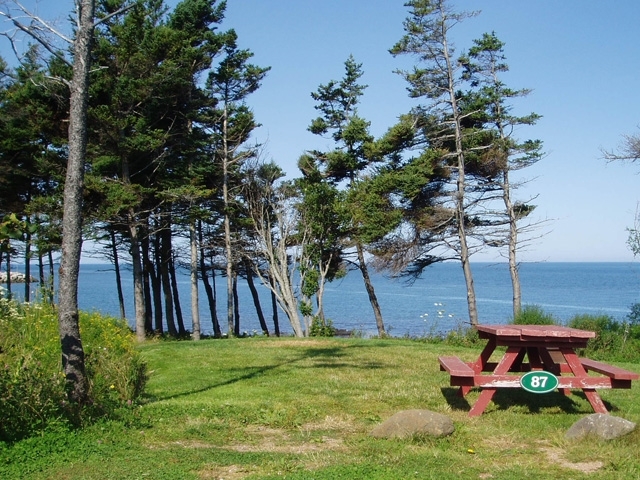 Drinking water taps and portable toilets are located within a short distance.